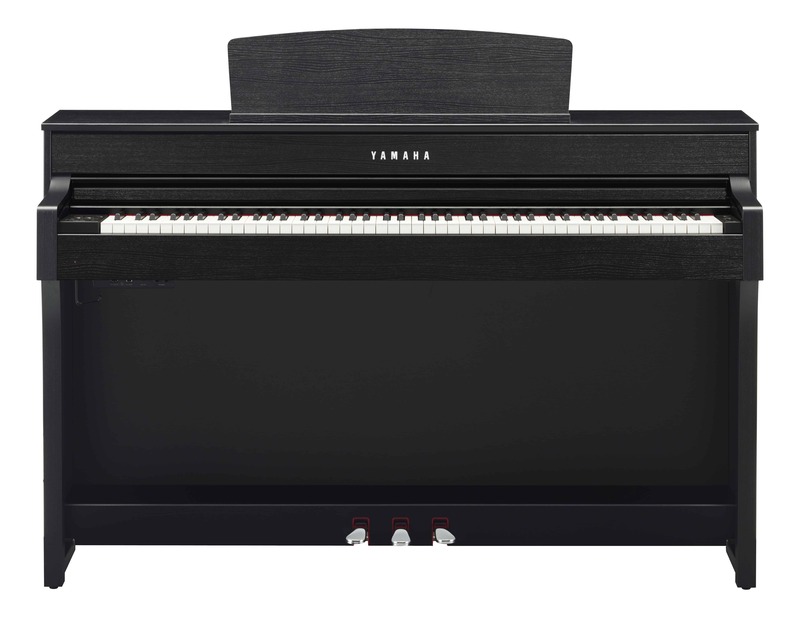 The Yamaha CLP-645 digital piano is a mid-grade digital piano with ample features and a rich grand piano touch and tone. This digital piano is the perfect size for nearly any space and is available in 4 different cabinet finishes. The Yamaha CLP-645 is a mid-range digital piano with a beautiful Yamaha concert grand piano sound, natural wood keyboard action, and a bi-amplified internal sound system. Bluetooth audio lets you stream music wirelessly from your smart devices. You may also record your own performances using the built-in USB audio recorder. Traditional on the outside but modern inside, this instrument is a great piano for musicians of all skill levels. The sound of the Finest Concert Grand Pianos – The CLP-645 reproduces Yamaha’s legendary 9’ CFX concert grand and the legendary Bösendorfer Imperial in meticulous detail. 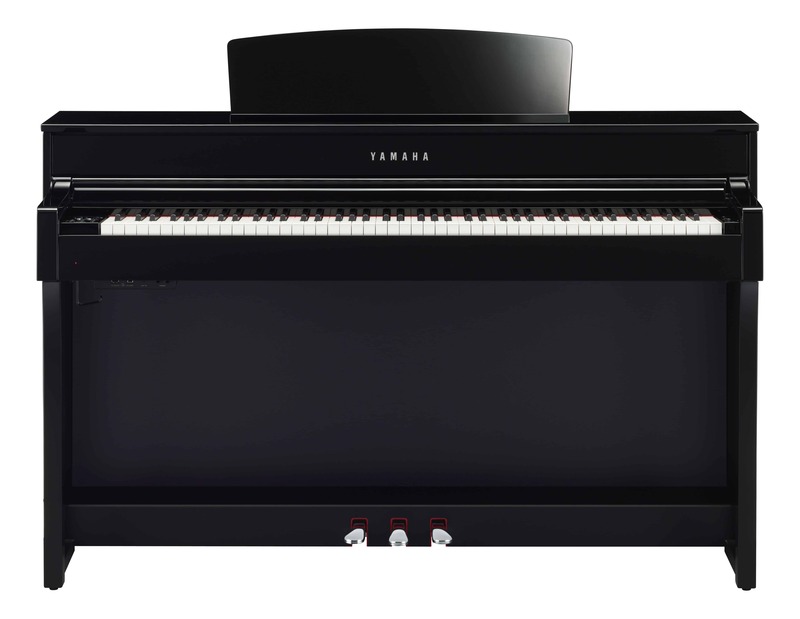 Realistic Grand Piano Keys – The feel of playing the keyboard of a Yamaha CLP-645 emulates the touch of a grand piano. 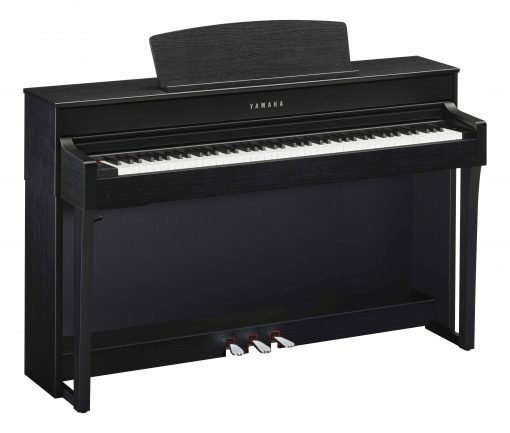 While grand pianos have a light touch when played gently and a heavier touch when played with more strength, most digital pianos have uniform resistance regardless of how the keys are played. Clavinova’s keyboards simulate true key resistance, offering a more responsive touch and a greater dynamic range than ever before. Virtual Resonance Modeling (VRM) – In an acoustic grand piano, the sound resonates through the soundboard, creating deep, rich reverberations. To simulate this reverberation, Yamaha developed Virtual Resonance Modeling (VRM) which calculates string state, timing and depth of damper pedals, aliquot resonance in the upper octaves, and full resonance of the soundboard, rim, and frame. These calculations contribute to a more vivid and richer voice that helps the sound of the Yamaha CLP-645 digital piano sound even more realistic than ever.